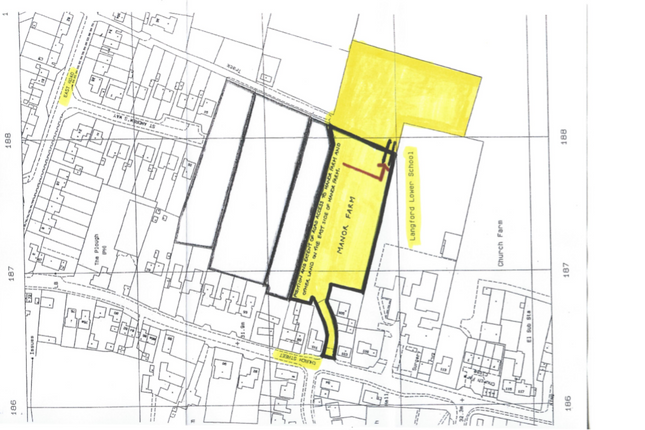 The subject land, as shaded in yellow on the attached plan, which is for identification purposes only, with access via Church Street. Approx 3 acres of land. The property is offered for sale Freehold and with vacant possession. The site does not have any planning permission at present. Offers are invited for the freehold interest, subject to contract and/or planning. Property descriptions and related information displayed on this page, with the exclusion of Running Costs data, are marketing materials provided by Home Counties Estate Agents, and do not constitute property particulars. Please contact Home Counties Estate Agents for full details and further information. The Running Costs data displayed on this page are provided by PrimeLocation to give an indication of potential running costs based on various data sources. PrimeLocation does not warrant or accept any responsibility for the accuracy or completeness of the property descriptions, related information or Running Costs data provided here.